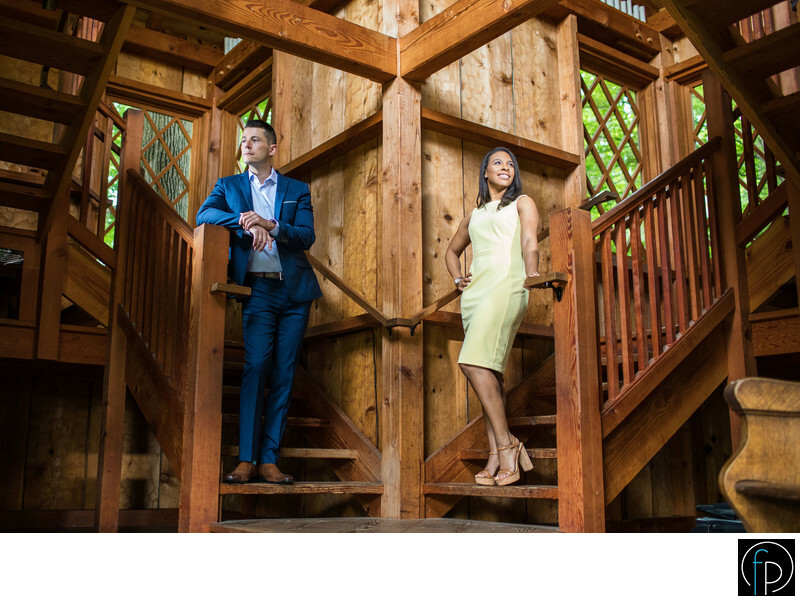 Our couple poses inside a beautiful treehouse which gives the photo symmetry and some fun, geometric lines and shapes. If you haven't been to Longwood Gardens, you need to go and see the treehouses at least! They also offer something for everyone: Fountains, water gardens, flowers galore and meadows upon meadows just to name a few.